As previously mentioned in bulletin articles, we are undertaking many necessary projects to maintain and improve Saint Patrick Parish. In addition to the many projects already completed we are still working on the replacement of the new school roof (which should be completed within the week), following that the replacement of the rectory roof and the roof on the main Parish Church/center. We are also replacing the rear entrance (facing the large parking lot) of the new school as the wooden structure holding the windows in place is completely rotted. 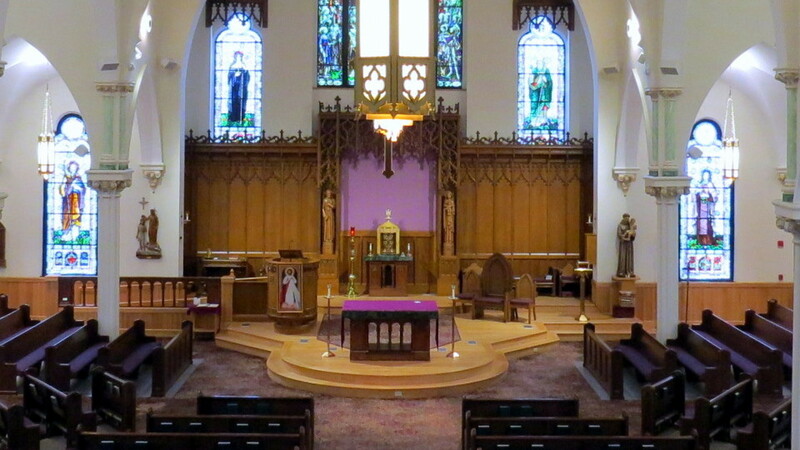 I am still taking bids on replacing all the casings of the stained glass windows in the Main Church especially the main window behind the altar, which are rotting and put the windows in danger of falling out as well as repairing the masonry around the parish building. I will keep everyone up to date on the ongoing projects as well ... Thanks for all of your understanding and support! Our Lady of Mount Carmel pray for us !